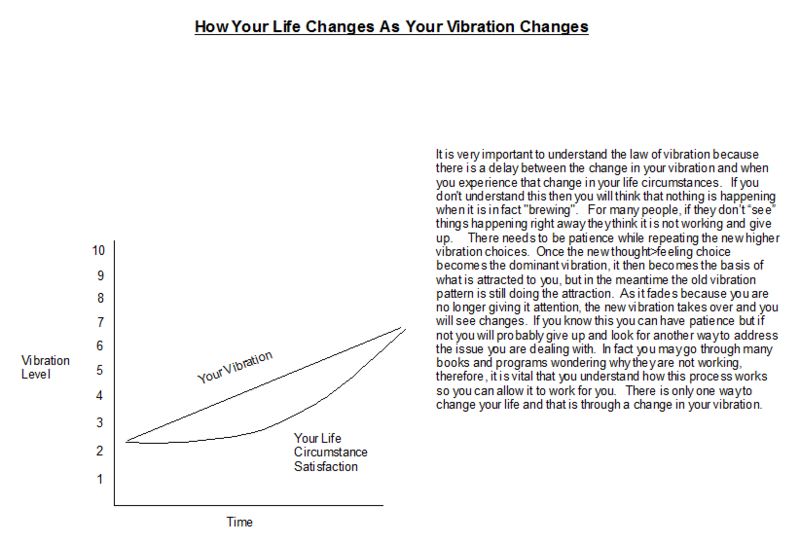 The Diagram on the left shows the delay between a change in vibration and a change in physical life experience. 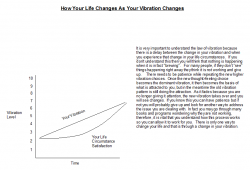 When we use our conscious mind to be persistent and repetitive with activating the new high vibration, it becomes dominant and therefore it gets more momentum going; that is when we see physical life start to change. 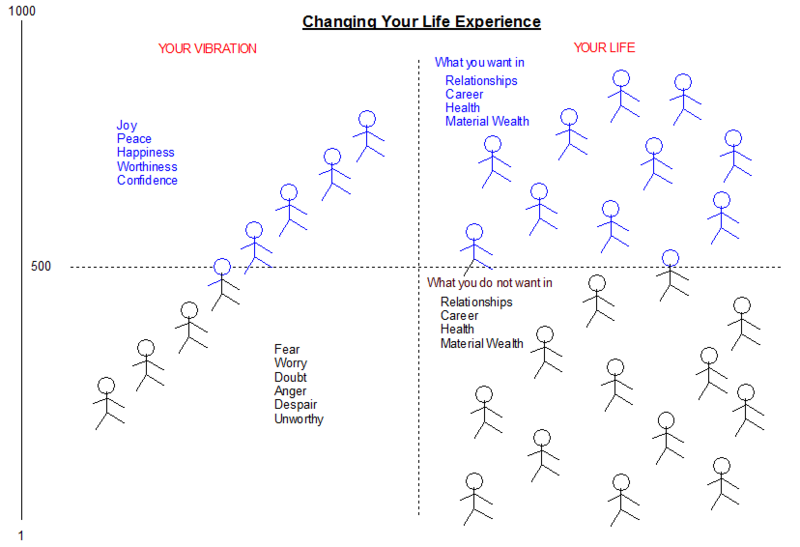 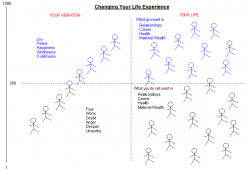 The Diagram on the right shows that as your dominant vibration changes (by using your conscious mind to activate the new vibration), your life experience changes.